Hi, my name is Linda Sharp. I discovered yoga in my final year of a 16 year professional dancing career and after practising it for 5 years decided I would like to teach as I really wanted to share the joy of yoga and it's many gifts. I went to India in 2004 and trained in the Sivananda yoga tradition, which was a life-changing experience and after the birth of my son Arthur in 2007, I felt that I wanted to further my teacher training in another tradition. 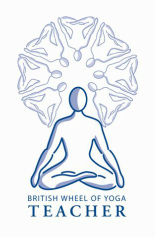 In July 2011 I completed a British Wheel of Yoga diploma course with a wonderful Viniyoga teacher called Dave Charlton. Having attended antenatal yoga classes during the pregnancy with my son, I decided I would like to help Mums-to-be through this special time and also go some way in preparing them for their birthing experience. I feel very fortunate to have trained with Gail Reeves, who runs Beautiful Birth and Beyond yoga classes in Malvern and began teaching pregnancy yoga in September 2014. Gail's Yoga for pregnancy teaching follows the Viniyoga approach which focuses on using the breath with movement and adapting postures for the individual. I strongly believe that introducing some of the philosophy of yoga into my pregnancy yoga classes is also enormously helpful for the Mums-to-be to use during their pregnancy, labour and journey into motherhood. It has been such a pleasure helping so many Mums with their pregnancy journey that it seemed a very natural progression to offer Mum and baby yoga classes. In 2015 I completed a Mother and baby yoga teacher training with Uma Dinsmore-Tuli to continue to share yoga with Mums who would like to aid their postnatal recovery, boost energy levels, relieve stress & anxiety and strengthen pelvic floor & abdominal muscles. I teach a gentle yoga practice with asanas (postures), breathing exercises and relaxation. I am very passionate about teaching my students how they can use their yoga practice to help them in their daily lives. I have Public Liability insurance and am first aid certified. I continue my professional development by attending regular workshops and taking class whenever I can with some of my peer teachers.